Twitter has become a group therapy session for thousands of users through the hashtag #GaysBreakTheInternet, a collective response to "homophobes" and their ugly comments about America’s deadliest mass shooting ever by a lone gunman, carried out at an LGBT nightclub in Orlando, Florida Saturday night. Deeply saddened by the loss of so many innocent lives in #OrlandoShooting We join families in their grief. 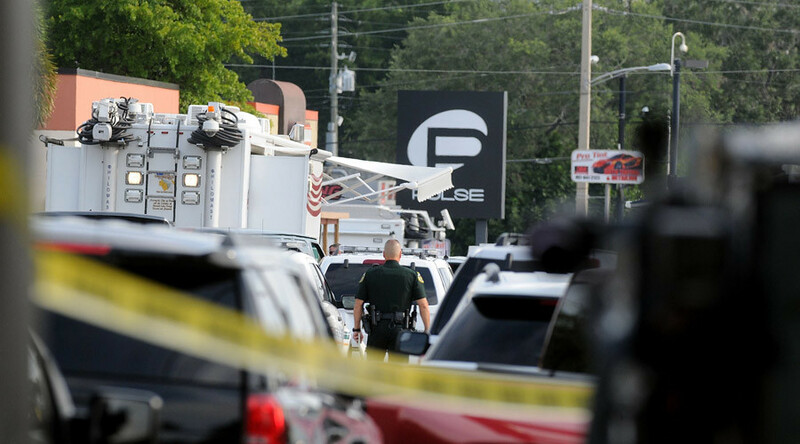 At least 49 people were killed and 53 injured when Omar Mateen allegedly entered and opened fire in Pulse, a club that describes itself online as “Orlando's Premier Gay Nightclub.” Initially police announced that 50 people had been killed, apparently mistakenly counting Mateen as a victim. As several comments on this story point out, the Orlando shooting is the deadliest gun massacre in the US since Wounded Knee in 1890, when more than 150 men, women, and children, mostly Lakota Sioux, were shot and killed. The US military claimed responsibility for that attack and later handed out Medals of Honor to those soldiers who committed the mass atrocity. The world's deadliest lone gunman to carry out a mass shooting is still right-wing European Anders Breivik, who murdered 77 people in Norway nearly five years ago. He is now held in a prison with access to Playstation 2 video games. Solidarity messages from around the globe filled social media feeds, but as the day went on, many were disturbed by the mainstream media’s focus on Islamic terrorism rather than homophobia and hate crimes. mainstream media loves to forget that it was a GAY club under attack during PRIDE month. of course it's a hate crime how stupid can u be. Others cautioned the potential for LGBT supporters to become anti-Muslim. While conservative Christians who usually demonize homosexuals were left conflicted about how to react. @chipotledoww@lostboyoakIey Yea Fags are disgusting. its terrible what happened to them in Orlando tho. Praying for Orlando night club shooting victims & their families this morning. The depravity of man is again revealed in terror & violence. According to Amaq News, a Syrian news agency with close ties to the Islamic State, the group has taken responsibility for the attack. Reaction to the shooting has mainly been of concern and sympathy, particularly from the LGBT community which celebrates pride this month in cities across the globe. Other Twitter users, mostly behind anonymous accounts, praised the actions of the shooter and asked for more killings of gay people. @realJordanFash@KarlRadl Those Orlando fags are in hell. Soon you will be too. Praise God for his righteous judgements in this Earth. A handful of those who are both anti-gay and anti-Muslim seized on this opportunity to advance their own agendas, even though they consider the victims to be sinners.